Our classic teething rusks 100g will keep your baby busy for a long time as they are slowly baked to create a hard rusk. Perfect for babies teething as they encourage biting and chewing, which aids in healthy tooth and gum development. 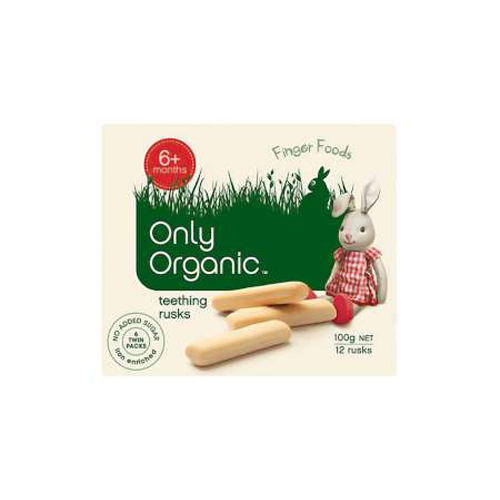 Only Organic Teething rusks have no added flavours or sugar so they are nice and plain for your babies developing taste buds. Our teething rusks provide 18% of the recommended daily intake of iron for infants aged six to 12 months and 25% RDI of iron for children aged 12 months and over. Try keeping them in the fridge — a cold Only Organic Teething Rusk will provide extra relief to sore gums. 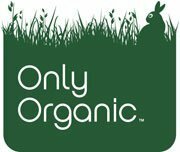 Organic Wheat Flour*, Organic Skim Milk Powder*, Wheat germ, Yeast, Salt, Mineral (Iron).